My baby sister graduated from Wenatchee High School yesterday. I'm in a little bit of shock I think. I'm eleven years older than Erica, seven years older than Natalie, and I've always felt more like a little Mama than a big sister. I moved out two days after graduating in Omak and headed straight for the coast. 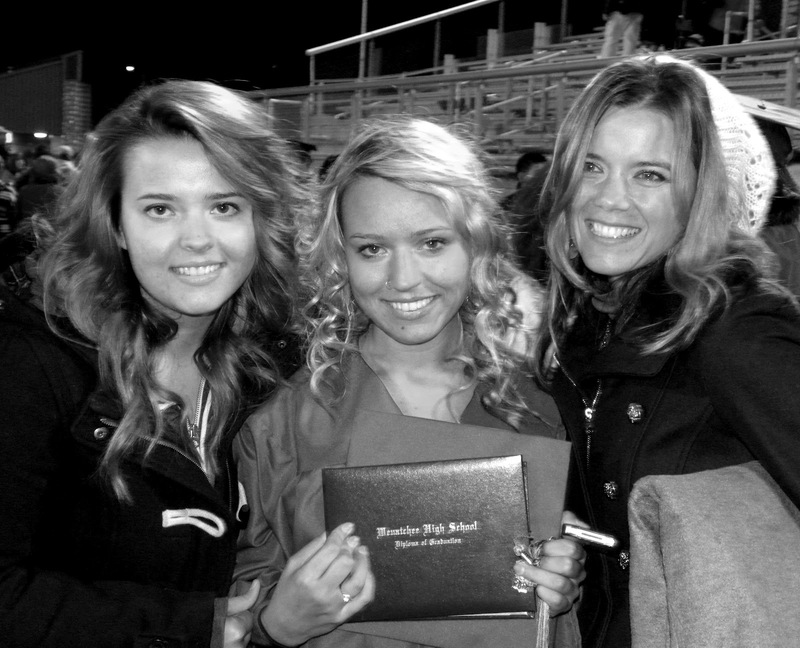 My Mom, her husband and these two beautiful girls moved down to Wenatchee that summer and started a completely new life. They opened a store, bought the house, and launched into a crazy routine of wake up and survive while working too much (them) and growing too fast (the girls). It was weird to go 'home' to visit when this really wasn't my home. I never lived here. This was their space. So my baby sister is taking off, starting her adult life as a simultaneous high school and college grad with no childhood home to go back to. So much change in such a small amount of time...I remember what that feels like. I can't wait to see what she does with all the life and space and places ahead of her. I wish I could bottle up the way this house sounds and smells and feels so that she can revisit it when she needs to, because she will. Instead she will have only memories and photographs like I did, and that will work because really, this was just the beginning...the best is yet to come.